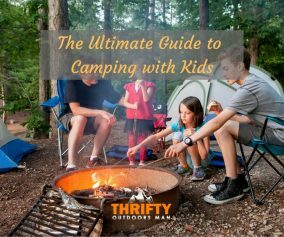 Staying cool and keeping a fresh food supply goes hand-in-hand with setting a campsite. No one wants to lose their cool over spoiled or sodden goods, especially if it’s the fault of the cooler. Nor do you want to spend hundreds of bucks for an ice chest to keep beers and food cold. 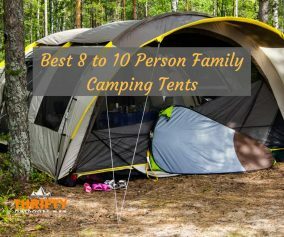 While there are options for a top-of-the-line camping coolers out there with names like Yeti, Orca, and Pelican, these companies make you pay quite a bit for a cool. If you don’t want to sacrifice quality for your budget, then there is another competitor in the cooler market that deserves your attention: RTIC Coolers. The company’s motto is “over built—not over priced.” Having racked up major popularity since the company’s foundation in 2015 in Houston, Texas, RTIC has a decent reputation (minus a recent scuffle with Yeti) for creating superior coolers for half the price. Roto-Molded Coolers – the main focus of this review. Available in 20-quart, 45-quart, 65-quart, 110-quart, and 145-quart sizes. SoftPak Coolers – same technology as above but with softer sides, making these more portable and lightweight than a standard ice chest. Available in lunch box size, 20-can, 30-can, or 40-can capacities. Day Coolers – lunch bag sized; keeps lunch cool for up to 24 hours. Backpack Coolers – same technology as the SoftPak Coolers but in backpack form. Other products include food containers, tumblers, drinkware, and so on. You can literally get anything needed for your next outdoor meal on the RTIC online store. Though RTIC is a diverse line-up of products, the category that generates the most interest would be the roto-molded coolers. There are a number of features and advantages to these ice chests that make them ideal for camping and other outdoor activities. 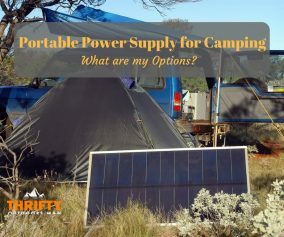 When it comes to choosing the right size for your and your camping adventures, remember that roto-molded coolers aren’t meant for lugging around over an extended period of time. Therefore, if you plan on catching large-sized fish from the ocean or need to supply a weekend long carpool to the stadium, you might need more than the standard RTIC 45. But if you plan on doing a couple days of camping in a shaded spot, the RTIC 20, 45, or 65 may be a better choice for you. 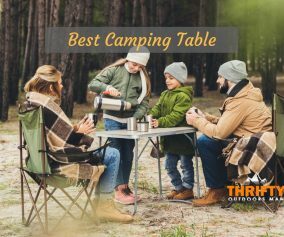 If you’ve been doing your research on high-end camping coolers, then you will have encountered the term “roto-molding.” This is a method of molding plastic that creates a single cut. For a cooler to have maximum ice retention and capacity, roto-molding has become the standard. RTIC ice coolers follow the typical guidelines for roto-molding, such as precision cutting and wall thickness, ensuring that every cooler looks the same and has no imperfections or weak spots. Of course, this creates a third advantage: superb resilience against external force. Compared to other coolers of similar make, RTIC has excellent 2-3” thick insulation and ice retention. When placed in shade, an RTIC cooler can keep ice for 5-10 days. The roto-molded walls contain a sheet of polyurethane insulation foam which keeps ice from melting rapidly. The lid also uses that same type of insulation. An added plus to the RTIC cooler design would be a the “cool-lift” feature that increases the ability of the insulation by picking up the cooler’s bottom to keep it from contacting hot surfaces. For example, if you’re going to the beach where the sand is scorching from constant sunlight, it doesn’t matter how insulated a cooler is if you place it directly down on the sand. Using an RTIC cooler with its lifting mechanism will put space between the cooler and the sand, preventing accelerated melting. Another reason the insulation and inside of the cooler, which is made of UV-resistant polyethylene is that the exterior won’t sweat. No one wants a cooler than doesn’t stay closed, because that renders the ice chest useless. You never have to worry about that with a RTIC cooler. The “T” shape of the latches give you superior grip when it comes time to open and close the cooler lid. Plus, these T-latches are constructed out of high-grade silicon, meaning they won’t grow brittle, erode, or rust overtime. Since RTIC coolers have tie-down slots molded onto the outside of the cooler, you don’t have to worry about tying down the cooler to the pickup truck bed when taking to the trails. Even if you end up bouncing around, the cooler—and all the contents—will remain in place. For those outdoor-loving folks, the top of a cooler is more than just a lid—it’s a stool, table, seat, foot rest, and prep space. That’s why the RTIC cooler comes with non-slip surface, so you can make use of every inch. The lid also has a 1/2-inch lip that gives you enough space to open the sealed lid without relying on the handles. The lid locks on an RTIC cooler will remain closed regardless of how jostled the cooler is. Nothing can bend, break, or warp the locks. Here’s something that truly makes an RTIC cooler special: dry ice compatibility. Since RTIC coolers can use dry ice, you will be able to keep food cooler for up to 10 days (sometimes longer), making it the ideal companion for long camping trips or times of emergency. If a cooler can’t keep hot air out and cool air, it’s useless. The freezer grade gasket on an RTIC cooler, however, is ¼ inch wide and ¼ inch thick, ensuring that cool air doesn’t gradually seep out overtime. The gasket also prevents leaks. Everyone has their own preference when it comes to the handles on a cooler. RTIC gives you a choice between a rope handle or a molded-in type. There are two drainage systems built into RTIC coolers. The first is the easy flow drain that quickly drains out any liquids. The second is the rapid V-drain, which is recessed and helps drain the final dregs of from the cooler. Not every cooler is built to endure the hunger of a bear. RTIC is. The roto-molded design partially contributes to the impregnability. The other component would be the T-latches and locking mechanisms which prevent the bear from prying the lid off the ice chest and getting to the food inside. Thus, RTIC coolers have earned the coveted “bear-proof” status. Some cooler companies have a broad range of color choices to help with personalization. RTIC coolers might not be winning any prices in this, but they do have color options like white, blue, tan, pink and seafoam green. It is worth knowing that Yeti filed a lawsuit against RTIC in the latter part of 2017 for copying models of their popular coolers. In a side-by-side comparison, an RTIC cooler was almost identical to a Yeti but cost way less. After entering into a settlement with Yeti, RTIC promised to stop the manufacturing of their knockoffs and bring forth unique designs in 2018. Now, as of April 24th, 2018, RTIC has begun selling an entirely new line. Therefore, any previous comparisons of RTIC vs. Yeti coolers may be obsolete. RTIC 45 vs. Yeti Tundra 45 – While both are marketed as being 45 quarts, the Yeti Tundra 45 actually only holds 36.7 quarters, whereas the RTIC is true to form. Similarly, the RTIC cooler holds up to 36 cans of beer or 40 pounds of ice. On the other hand, the Yeti Tundra 45 holds only 28 can or 34 pounds of ice. Where Yeti wins in every single size is the weight difference. Yeti models are much lighter than RTIC coolers, which could be a deciding factor for some people. Both coolers perform equally well with retaining ice—and both companies claim that their coolers will keep ice for 5-10 days. Users of both coolers have reported longer and shorter durations of ice retention ranging from 4 days to 14 days; but these are based on users only, and so usage, location, and outdoor temperature all vary. In short, you can expect either cooler to keep ice for over a week if you keep it in the shade and aren’t constantly opening and closing it. When you are looking for an ice chest that has durability, superior ice retention, and a decent price tag, not many can live up to the standard that RTIC coolers have set. Though these coolers are a little heavy, the carrying capacity and performance makes them a worthwhile competitor in the world of camping and fishing coolers. You won’t go wrong with an RTIC cooler, because you get one of the best designs in the industry for an excellent price. 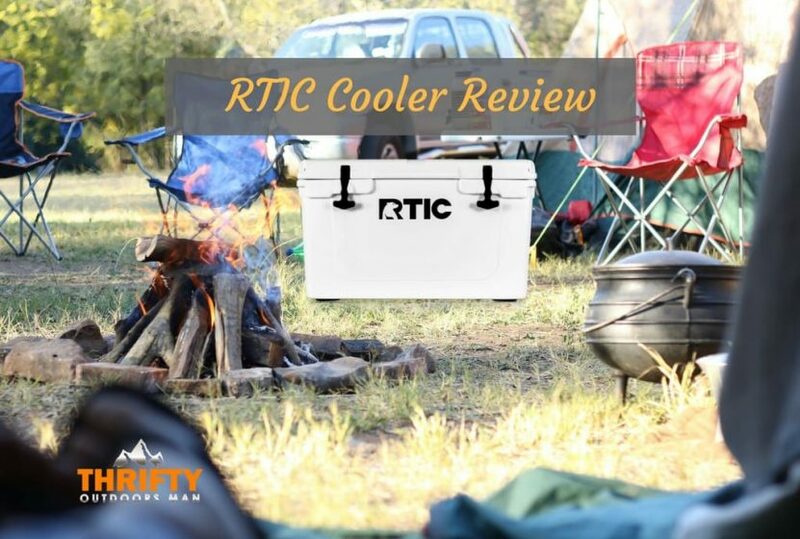 I hope you like our RTIC cooler review, if you are looking for a comparison between other cooler click on the links; Grizzly vs Yeti and Pelican vs Yeti.